Nicaragua, back from the dead? As Daniel Ortega won the popular vote with more then 50% of the vite for the first time since the early 1980s, I thought I should mention my recently released book Nicaragua, Back from the Dead? 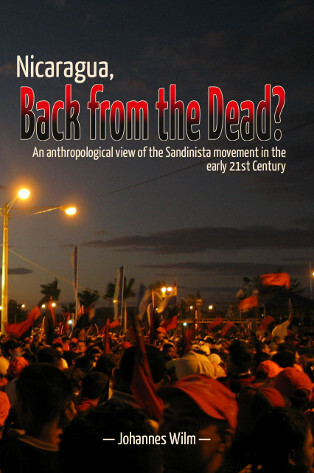 An anthropological View of the Sandinista Movement in the early 21st Century. It is distributed through major distributors such as Ingrams worldwide, and in the UK through Word Power Books. I also put up several free online versions available as well, as I mentioned I would do. This is really just to try it out, but a lot more should be coming henceforth. I’m running around Nicaragua with this really nifty camera/microphone combination, and although I have some 13h of footage, the editing situation has been pretty crummy and I have had to put the various bits and pieces of software together myself to get a working toolchain. 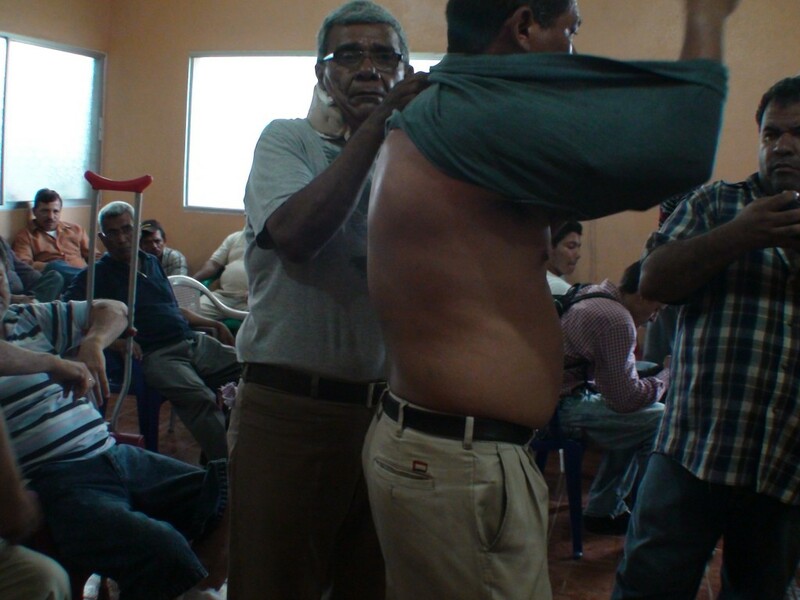 However, this ended up being used in Nicaraguan national TV by two stations. It’s some footage I took the other day, when a political party, the Movimiento Renovador Sandinista and the students at the UNAN university clashed together here in Leon the other day. For the MRS, the militant Dora María Telléz had planned to speak at the university that day, and simultaneously the students decided to take over the university for the day in protest against the late payment of scholarships. The MRS recently lost its license to run in the upcoming local elections, and have therefore been calling the country a dictatorship. When students blocked the entrance on June 29th, they again expected for the president and his FSLN-party to be behind it all. Update: Today, Saturday May 17th, the strike has ended after 12 days. Transport workers will get subsidies of 1.30 USD/gallon, but cargo transport will be excluded from that offer as they are “not regulated”. Where the money for that suddenly comes from is unclear. 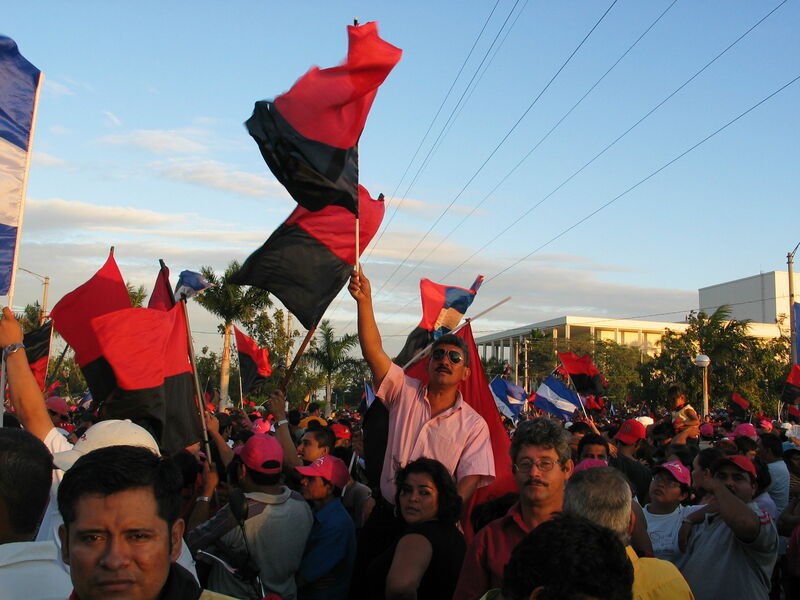 The Central American Republic of Nicaragua was in the 1980s portrayed as one of the greatest communist threats in the western hemisphere. Once the political right won presidential elections in 1990s, the ideological education so many had received for a decade suddenly didn’t seem to have mattered. That is until now, in May 2008 little more than a year after the Sandinistas regained the presidency with a promise of national reconciliation, when transport workers take to the streets, shut down all public transport built barricades on major highways and demand for the government to go back to politics of price control and subsidization. Now running on its 9th consecutive day with all talks between drivers and government not anywhere close to a positive the solution, the immediate future of Nicaragua is uncertain. The strike started on May 5th. The first day only busses between major cities stopped while city busses and taxis in Managua as well as busses between minor destinations continued to operate. Since then all transportation has been shut-down with the exception of occasional pirate taxis. 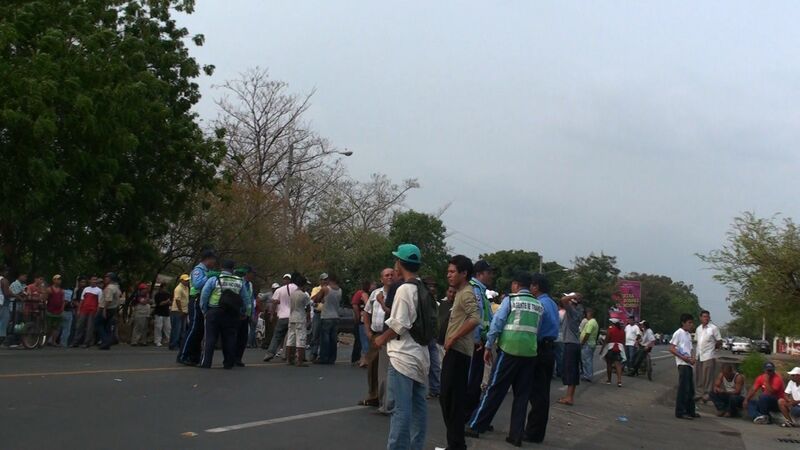 In the city of León drivers have set up camp at the exit of the highway to Managua, and most afternoons they block each lane for ten minutes at a time to stop most traffic, although only past Tuesday did it end up with violent confrontations between police and demonstrators. The demand brought forth by the transport cooperatives are frozen petrol prices at the equivalent of 2.88 USD/gallon or 0.49 Euro/L for public transport, as they claim is the case for those operating in Managua already. Currently prices run around 5.18 USD/gallon or 0.88 Euro/L. The money that is to be used on this is the money that the government allegedly has access to through an oil deal with Venezuela which lets the country buy oil at market price, but with only 50% having to be paid within 90 days and the remainder in 23 years with an extremely low 2% interest rate. The government on the other hand claims that there isn’t sufficient funding available for such heavy subsidization and that part of the available funds are to be used for other projects, such as anti-hunger measures, micro-credits for small shop owners and road infrastructure measures. …or rather Chavez’ and Morales’ night. Fact is that the plaza were Ortega was to give his first public speech after inauguration was filled with cheering leftists while Chavez and Morales spoke, but when Ortega finally got to speak, everyone seemed to have better thing to do. Sure, we had all been waiting three hours beyond the expected arrival of the 14 leaders of states (7PM rather than 4PM), and the way he spoke, it just seemed to be the beginning of a very long and tiresome discourse quite different from the political messages Chavez and Morales came with (Chavez: “Socialismo o Muerte”, Morales announcing the nationalization of the Bolivian mining industry), which made the crowd come alive. However, Ortega did not just lack rhetoric and speech writing skills. Nicaragua. After having traveled through northern Central America, it strikes me how little independent these countries actually are. Of course, there has always been the big imperialist empires Spain, Britain and in later years the United States, that have tried to steer them into whatever direction was convenient for them. But also the protest, the rebellion against the global exploitative system, is very much dependent on the strength of similar forces in other countries. Just take Nicaragua: The big hero national Augusto Cesar Sandino, who fought against United States forces in the 1930. 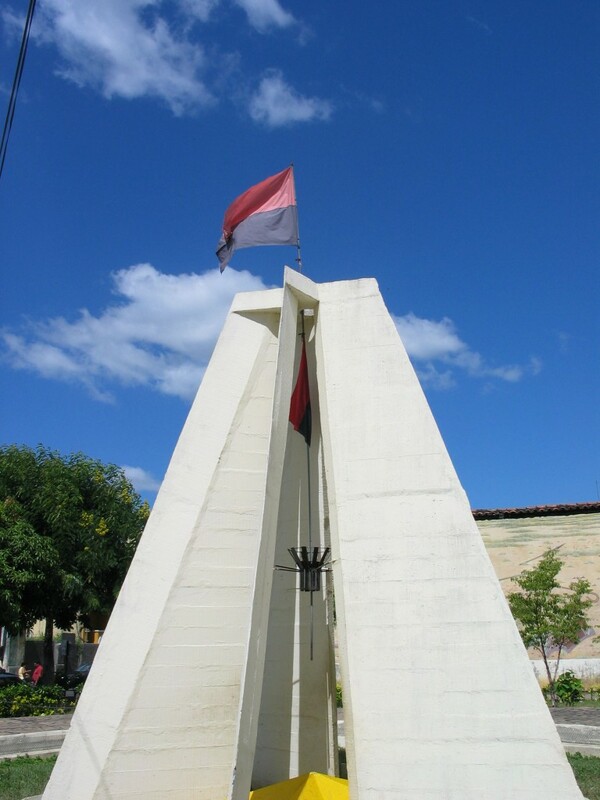 The black-and-red anarchist flag that he introduced was brought from Mexico, where he had been working in the Petrol industry and had been awakened politically by the revolutionary Mexican communist and anarchist movements in Tampico. a blog on social science, activism, politics, programming, etc. Johannes Wilm is responsible for the textual contents of this website. Images are either his own, or permissions for the usage of the images are either not needed or have been granted. Texts are CC-licensed if not otherwise specified. If you want to use any of the images, please contact me.